Johnny William Mayberry, age 67, of Edwardsville, died at 4:41 a.m. Friday, Oct. 19, 2018, at Anderson Hospital in Maryville. He was born Nov. 4, 1950, in Alton, the son of the late Johnny and Dorothy Rice Mayberry. He married Gloria Lenglet on April 2, 1971, in Edwardsville. She survives. Also surviving are one daughter: Candy Maurer of East Alton; three grandchildren: Shayne Noeltner of San Jose, Calif., Seth (Vanessa) Noeltner of Alton and Brandy (Cody) Moran of East Alton; eight grandchildren: Animal, Caiden, Michael, Brooke, Emily, Arianna, Drake and Hensley; and four sisters: Dorothy, Myrtle, Mamie and Goldie. In addition to his parents, he was preceded in death by on brother: "Butch". Mr. Mayberry was an avid hunter and fisherman. He loved the outdoors. He was a member of the Teamsters union and especially loved his family. He worked for 40 years as a chauffeur for Republic Services. 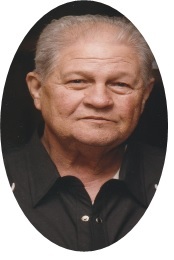 Visitation will be from 5 p.m. to 7 p.m. Friday, Oct. 26 at Saksa Mateer Funeral Home in Edwardsville.